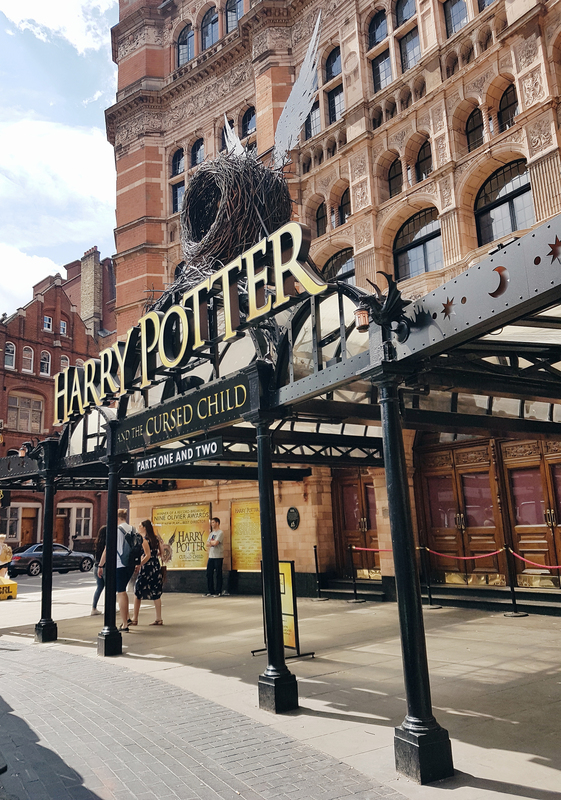 Yep, I finally got down to London and watched Cursed Child. Was also pretty happy just to be visiting London as well to be fair! Reading the script, my first thought was that yes it was very fanfic-esque. It’s a bit of a wild story, not gonna lie. Many people had the argument of just leaving the world alone, it was finished. 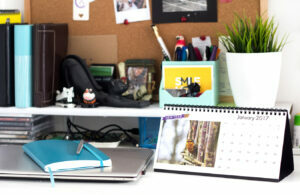 For me, I just loved being immersed back into the Potter world. Into magic and Hogwarts and things inevitably going wrong. I just love it all. 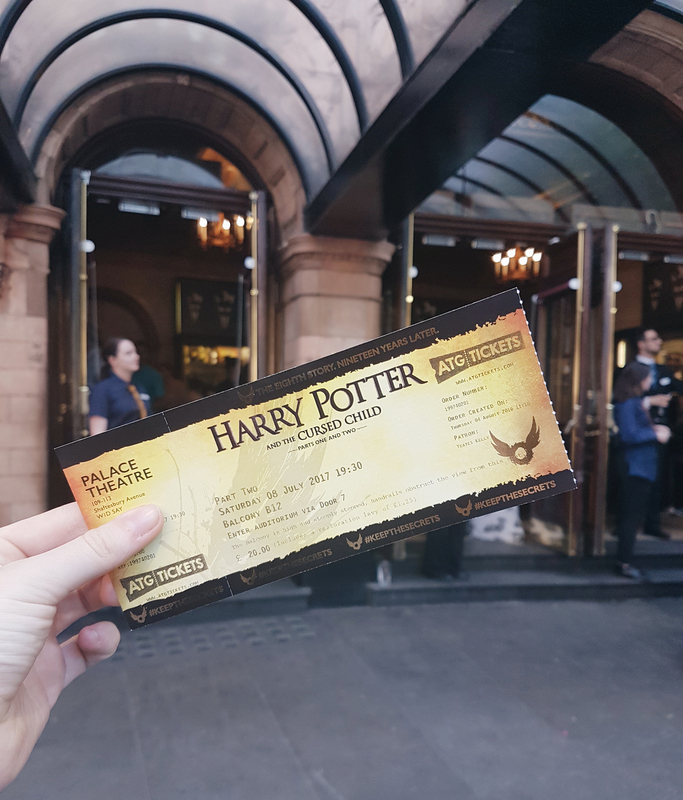 So when we managed to snag tickets, albeit ones right at the top with a bit of a restricted view, I was so happy to finally have the chance to see the play come to life. It was a long wait. 11 months in fact. And you know, it was so worth the wait. I’m not going to get into the story, obviously, (keep the secrets, right?) but I felt like I needed to write my thoughts down. We decided to go for a Saturday with both shows in one day. This meant it was a really long day, and we were all pretty knackered by the end of it. This wasn’t helped with the fact that we’d unknowingly chosen to go on the same weekend as Gay Pride, and as amazing as this event is (and the atmosphere was fab! ), it meant Soho and everywhere in the surrounding areas were jam packed with people. Great if you’re there enjoying the parade and day out, but not so great if you just want a quiet sit down and food after a few hours crammed into tiny theatre seats! Nevertheless, it’s still London. London is always busy right? I don’t mind the crowds and it was great to see all the pride costumes, signs and the shops getting involved. 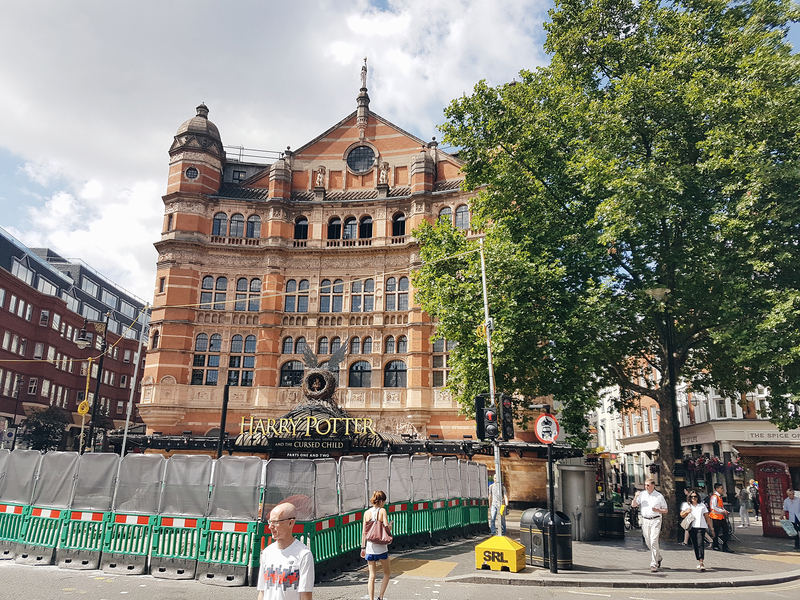 Cursed Child is shown at Palace Theatre so we tried to stay very close to that both before and during the break between the shows. We ate, we drank and we relaxed – a little. All was well. Now the actual show? Oh it was incredible. When people say that the script does not translate well, they’re telling the truth. You just cannot really appreciate the play without all the effects that are used and just the way things are said as well. The story has it’s faults, not going to lie, but you’ve just got to take it as an extension to the Potter world. Not like a direct follow up – because it isn’t. It isn’t J.K. Rowling’s masterpiece. The magic itself was done really well, and I was impressed at how they managed to do everything and it not seem completely unrealistic. Some of the things were like actual magic, not even kidding. In fact, right in the first scene I was like woah, wait what?! The wonders of stage work! Honestly though, some of the things they did were amazing, and made it feel more interactive. I’m dying to describe things but it would just ruin the surprises for those who haven’t seen them yet. Credit to all those behind the scenes and not just the ones doing the acting on stage, because the show ran seamlessly and there was a lot to it. More than any other show I’ve seen. All of the cast were brilliant, and really brought their character to life. The crowd was in stitches at times, and although the story line is a little daft I wasn’t expecting so much humour to it. I also might have shed a tear at one point. But hey, that’s how you know they’re doing their jobs! There were a few characters that annoyed me when they probably shouldn’t have, but on the whole I was really impressed with them. They seemed to have a lot of chemistry on stage together. I’d love to see it again, in better seats. Our view was slightly restricted as I mentioned above, and that was by the handrail that was stopping people from falling over the edge. We were right in the top balcony but on the second row. I mean I still enjoyed it, and could see most of the stage anyway so it didn’t really hinder me. But you know, it’d be nice to be lower down! If you want to go and haven’t had the chance, then I’d urge you to save and attempt to get tickets! If you love Harry Potter then it is worth it. Just bear in mind that the cheap tickets right at the top are almost getting to vertical, so not for someone with a fear of heights. Oh and you have to climb a lot of steps to get up there. Seen it yet? Plans to go?